Unlike a painting which can be seen forever, the masterpiece of classical ballet needs to be passed down and that’s what Xuan and Ye, directors of Oregon International Ballet Academy, intend to do. 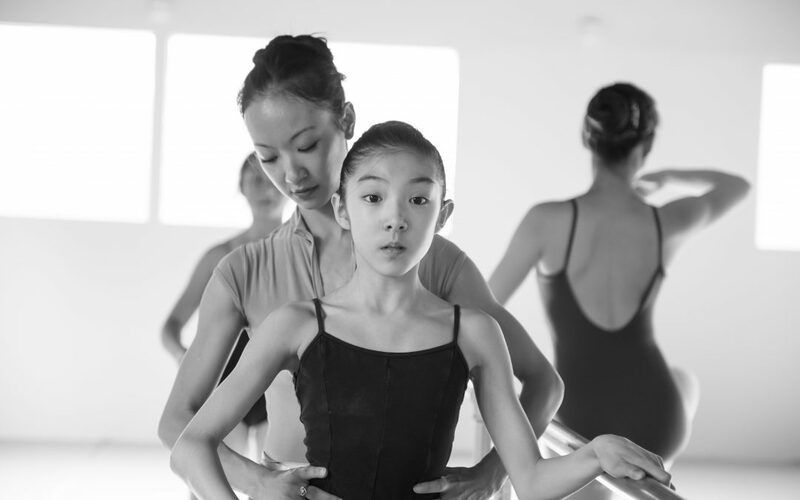 Xuan describes ballet as an elusive treasure, something you can’t learn from a book. Training and discipline are generic terms in relation to what OIBA is seeking to provide their students. Instead, they are focused on drawing out the heart, the passion and the intangible. During their training, Xuan and Ye had an amazing teacher that they say “had a magical quality that allowed us to embody whatever character we were playing, while truly being ourselves.” Ye emphasizes the nuance of character. “If you are a prince, you need to do a pirouette like a prince, if you are a jester, the pirouette needs to embody a jester.” A strong foundation of technique is key to being able to add the nuance and really move the audience and that ability is just one of the things they hope to pass on to their students. Their interest goes even deeper than the experience of ballet itself. Each with extensive success in their own careers, they have traveled the world learning from a variety of teachers and experiencing different styles and ideas all along the way. That experience is not something you can teach, so OIBA started a Cultural Exchange program so the students could be exposed to those things themselves. This past summer they went to China and the students took class right alongside the Chinese students. Xuan emphasizes that “Class in China is very different - very strict.” In China training is much like bootcamp. In America students want freedom and creativity. “But each experience allows us to grow and to see the world from a new perspective.” Xuan and Ye have connections all over the world with top notch ballet companies, so each year may be a different adventure. And in Portland, they hope to live up to their name of the Oregon International Ballet Academy by maintaining a culturally diverse group of students - anyone looking for top notch ballet training welcome. The final component that drives OIBA’s mission is giving students the opportunity to have a professional experience. Whether or not they go on to be a professional is not the idea, the goal is to get their students on a professional stage in front of a substantial audience, so they can feel that feeling, the one that captured Xuan and Ye’s hearts long ago.